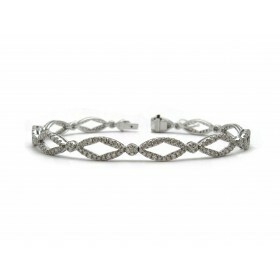 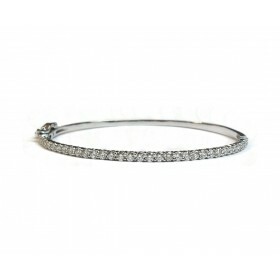 This fun bracelet simply twist around the wrist without the need for a clasp. 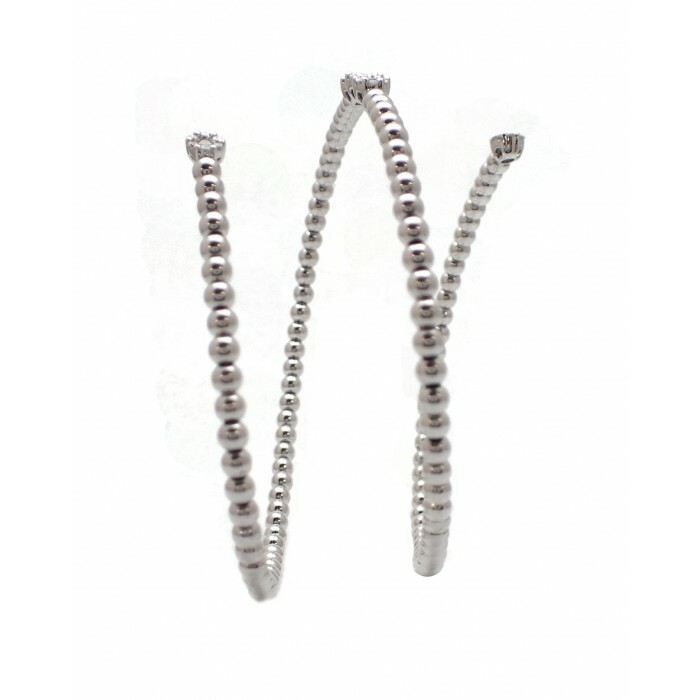 Diamond clustors adorn the center and ends of the continuous ball design. 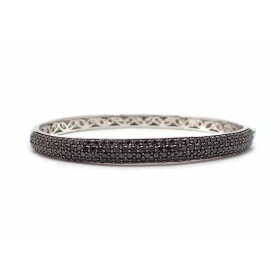 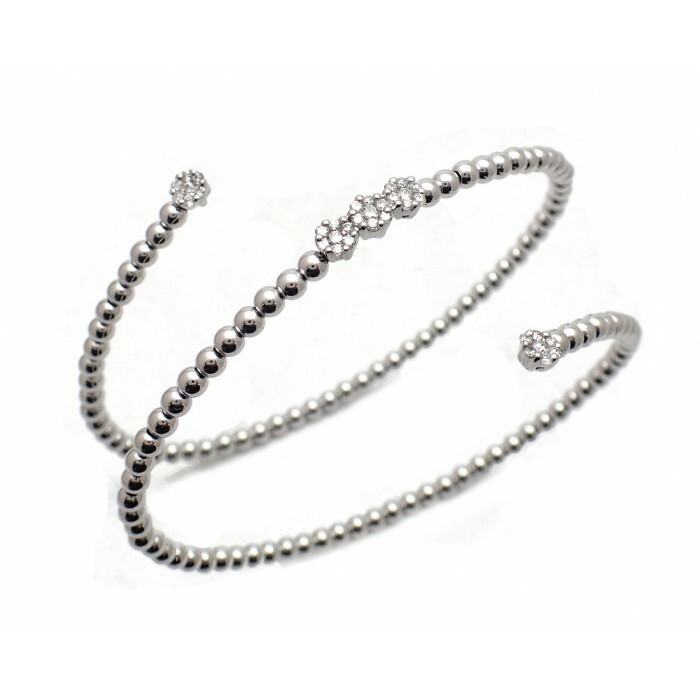 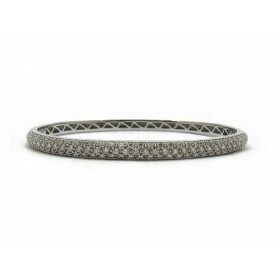 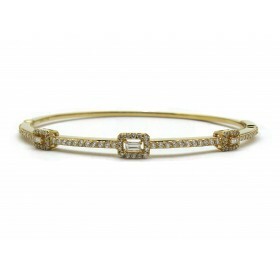 This fun and casual bangle bracelet is a little something different from the usual straight line bangle.